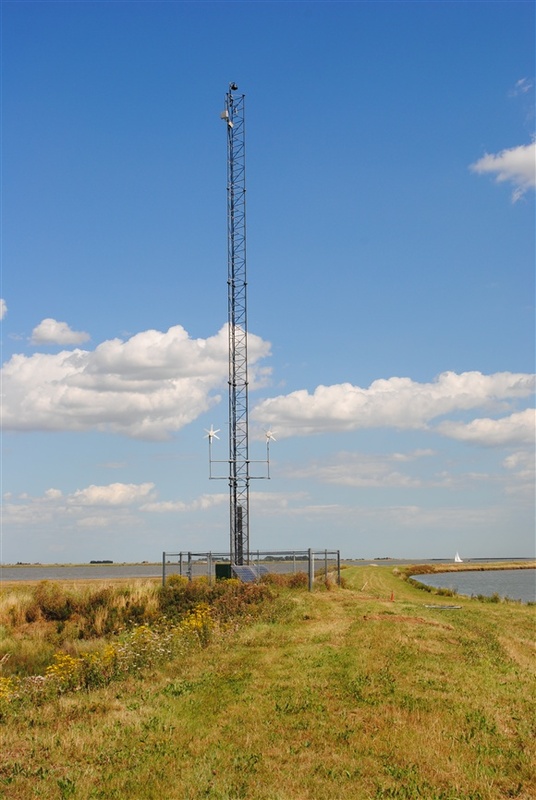 If you are looking out the window at the wind and rain and want to know what is happening on Wallasea Island, or you are separated from us by land or sea ( hello Burnham and Banbridge! ), there is a nice dry, comfortable way to see the what is happening on the island. Regular visitors may have noticed our webcam mast, standing tall about half way ( 1 mile) along the public footpath on the Northern side of the island.This was erected for the original 'Wallasea Wetlands' project a few years ago, when Defra created 115ha of new saltmarsh which RSPB have since managed for them. It originally showed the slowly developing saltmarsh stretching west and east - which lets face it,while interesting to a specialist audience, is not dynamic footage! Recently the camera has been under repair,due to the elements on the Wild Coast being at times not very friendly to small turbines that power the camera. Now that it is once again fully functional, it is perfectly placed to show the whole island as we turn back the years and recreate the saltmarsh islands of old. To see the images click on http://www.rspb.org.uk/ourwork/casework/details.aspx?id=tcm:9-235089 and then follow the 'useful ink' to the webcam on the bottom right hand side.